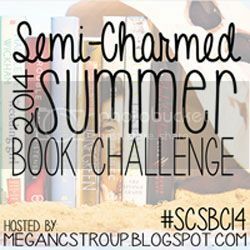 Finding My Virginity: I Successfully Completed the Summer Book Challenge! I Successfully Completed the Summer Book Challenge! August was a busy book month for me. Any day now, I will have my first column published, under my own name, reviewing fairy tale books. It was supposed to go up at the end of August, but the website owner suffered a hand injury, and posted that she and her website would be out of commission for awhile. I keep checking back daily to see if my first column has been posted, but alas, not yet. So I read a few fairy tales every month now to keep that going. On top of my fairy tales, I had four books to read by midnight on August 31st to finish the Summer Book Challenge. And I did! I finally finished The Screwtape Letters at the last minute on Sunday, not an easy feat when I was exhausted from a full day of family activities in Denver. With those four books, I did it! I read all the books on the original challenge, even if my selections veered off-course from my proposed reading list at the beginning of the summer. Just a reminder that all book reviews will be posted at my new blog under my own name. Comment or email or DM me on Twitter for the link. Congrats on completing the challenge!! I would love to be able to keep up with your book reviews.